In a message to supporters, Bennett announced, "On Friday, June 20th, I'm scheduled for open heart surgery due to severe aortic stenosis, as well as chronic atrial fibrillation. This is my first 'public mention' and request for prayer… that I not only make it through the procedure but also the expected difficult and risky recovery. "I'll probably be mostly out of commission for a couple months. I'm hopeful, if all goes well, to resume many of my normal activities during or after my third post-surgery month. But it seems everyone's road to recovery is as unique as their fingerprints. I'm told it can sometimes take a while to get fully past this." Bennett, who is considered by many to be one of Christian music's foremost singer-songwriters, went on to say, "I know there are legions of people facing much more dire circumstances than these. In just the last six months of dealing with this, I'm so much more aware of what it feels like to simply 'not feel good' most of the time. For those who endure so much more daily pain and suffering, I now have a very small and modest window into how challenging chronic pain must really be. "I'm also aware that many faithful people have prayed fervently for the recovery of loved ones and friends, only to see things turn another way. It is one thing to know in theory; quite another to know it very personally. He added, "Please know that the people I'm most concerned for are my wife, Elena and my three children. In some ways, I expect it's infinitely easier to be 'the patient' than it is to be a 'worried loved one.' Remembering them on my behalf would mean a great deal to me. Please pardon the fact that I may not be able to respond to individual posts or emails, but I'll try to read everything. Praises be to the Healer of My Life." [A post on] Bob Bennett's Facebook page [read]: "I'll deputize someone to update on Facebook and elsewhere as needed. As soon as I can responsibly get my hands on a keyboard or touchscreen, I'll be happy to get back to you directly." If you would like to subscriber to the cardiac prayer team for Bob Bennett, Click Here. Bob's acoustic folk-style recordings have honestly confronted the messy side of human existence over the years. But those who have discovered his depth, wit, honesty, and musicianship consider him to be one of Christian music's foremost songwriters. His classic tunes "Matters of the Heart," "Man of the Tombs," "A Song About Baseball," and others, reveal a songwriting proficiency unmatched among his peers. Bob was born in Downey, California, in 1955. He picked up his first guitar at age nine and formed a rock 'n' roll band in high school. In the late seventies he converted to Christianity and his songwriting began to reflect his new found faith. 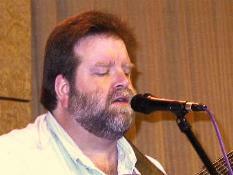 His career was launched with the release of his 1979 folk-style debut recording "First Things First." Three years later came "Matters of the Heart," a recording Contemporary Christian Music Magazine voted 1982's "Album of the Year," ranking it among the top 20 contemporary Christian albums of all time. 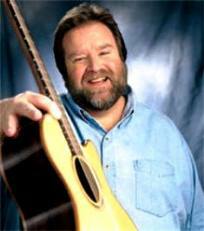 Soon after the release of his next recording, "Non-Fiction," he served as opening act on Amy Grant's "Unguarded" tour. "Lord of the Past: A Compilation," followed, with its title song reaching number one on the Christian radio charts in early 1990, followed by his second number one song, "Yours Alone." Later that year Bob joined Michael Card on his "The Way of Wisdom" tour, performing in front of sold-out audiences across the country. "Songs from Bright Avenue" was released in 1991, a collection of songs he wrote while struggling with the dissolution of his marriage. The years that followed were a time of emotional healing, regrouping, and moving forward with his life. Recently, Bob has found acceptance in the mainstream folk music scene, while performing in music clubs near his home in Southern California.